These days, the only thing worse than not having any antivirus protection on your computer is paying hundreds of dollars for an AV program that just doesn’t work. It’s easy to understand why many consumers shy away from paying for antivirus protection. It can be difficult to know which company to trust, and many will play games with your account, such as signing you up for recurring payments without your knowledge. However, 2018 has never been a better time to get in on the free antivirus market. Companies are fighting tooth and nail over customers. 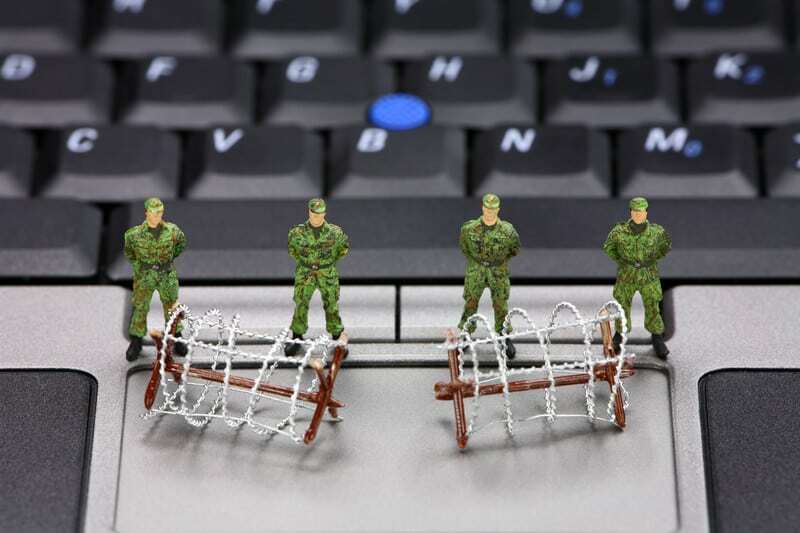 As a result, some of the biggest names in the industry like Comodo and Bitdefender are offering real-time antivirus monitoring options for free. They hope you’ll sign up later, of course, but in many cases you’ll get quality protection with absolutely no commitment. While you may miss out on a plethora of features available only through a paid antivirus application, many free options now exist that can provide near-perfect protection for both Windows and Mac computers. Comparitech reviews and tests antivirus software all the time. Consequently, we’ve run across a fair number of free real-time antivirus programs that we believe consumers can trust, no strings attached. Below, you’ll find the top antivirus programs we believe offer the best free protection for your Windows or Mac computers. Free antivirus programs are everywhere, with varying amounts of quality and effectiveness. In fact, many programs will make the claim that they’re “free,” but do little to actually protect your computer from viruses. Instead, if your computer gets infected, such programs will require you to pay for the full program in order to remove the infection. Others will only offer their service as a “free trial,” after which you must pay to continue using the service. Additional features available through antivirus programs will vary. However, free real-time monitoring, quarantines, and malware removal are options you should be looking for from your free antivirus program. Windows users have the largest choice when it comes to free antivirus programs. Given Windows has the largest market share for both consumers and businesses, it should come as no surprise that free options abound. Users can, of course, upgrade their AVG application to gain access to additional features, such as secure folders for ransomware protection, enhanced firewall, and protection against webcam snooping. AVG Antivirus offers enhanced, free protection for mobile device users. AVG for Android offers protection for Android devices, and can be downloaded independently on the Google Play Store. Looking to extend your protection to other devices? Bitdefender offers its free antivirus program for Android phones and tablets. The Android version also includes cloud scanning and uses minimal system resources to avoid draining your battery. Users looking for more can upgrade to the full version of Bitdefender from within the application. Avast is a direct competitor to AVG and follows AVG’s long-time business model: Offering a free program as a premier option. Avast Free Antivirus provides award-winning protection for Windows users. Virus Bulletin, AV-Comparatives and AV-Test have all noted and awarded Avast’s software for its high quality. This free antivirus program is feature-rich, especially for a free option. What truly sets Avast apart is its incorporation of cloud technologies and machine learning to improve threat detection and prevention. If that feels like a lot of features for a free program, you’re right. It is. Avast asks for nothing in return, not even your email address. You can, of course, upgrade to a paid version with more features, but this is completely optional and for most users, probably unnecessary. Avast also offers an Android version of its software for mobile devices. The Android version of Avast Antivirus Free has far fewer options, but still maintains a high level of free device security and protection. If you’re looking for more, you can upgrade your Kaspersky Antivirus software for a host of additional features, including functionality with Mac computers and Android devices. Still, if all you’re looking for is a lightweight, free antivirus solution for your computer, Kaspersky is a very good option. The company focuses its free tool solely on real-time monitoring and does not extend any bonuses to free customers. Nevertheless, the free tool utilizes the company’s quality antivirus engine at no cost to you. Comodo is a large internet security company covering a wide range of security concerns, including antivirus. Their cloud-based antivirus software can be downloaded for free on Windows computers. Comodo’s free antivirus uses the company’s Host Intrusion Protection System (HIPS). With HIPS, your computer is protected against known and unknown viruses. Malware that isn’t on a known blacklist is sandboxed away from the main system. Those threats are then taken care of in the quarantined environment, unable to interact with or impact your system. The software also uses predictive technology to help determine when a threat may occur from a file or website. Alongside free protection for your computer, you can also download a free Comodo antivirus solution for your Android phone. Comodo’s free Android app has more features than every other Android option we’ve mentioned. With the Android app, you get real-time protection, scanning, scheduling, SMS and call blocking, and more. Now onto the 12th version of its software, Adaware Antivirus provides a solid option for those who want quality antivirus on the cheap. The software utilizes a powerful and intelligent engine to scan for and block malware, making it a great free antivirus option. Should you find yourself in need of more features, you can more than triple the number of features by purchasing one of Adaware’s paid versions. The long-held belief that Mac computers don’t get viruses is quickly being dispelled. Now, more and more Mac users are turning to antivirus protection in an increasingly dangerous online world. Thankfully, antivirus companies are stepping up to help provide security solutions, many of which are now free. SEE ALSO: We take a deeper dive in the best antivirus for Mac here. Unfortunately, AVG offers no protection for iOS mobile devices, so Mac users who are also iPhone users will need to look elsewhere for mobile protection. Thankfully, a Mac version of Avast Free Antivirus is available for download. The features are notably more limited than what you’ll find with the Windows version, but the program’s core functions are no less powerful. Avast can be upgraded to include real-time Wi-Fi monitoring alerts and advanced ransomware protection. These are not necessary for the program’s primary functions. As with most of the other free Mac tools, there’s no iOS app. Sorry Mac users, you know the drill here. Comodo offers no iOS version of its software, paid or free. Nevertheless, your Mac computers can be well protected, and you can upgrade your Comodo software to a paid version with advanced features at any time. As you likely noticed, none of the options we listed above provide iOS apps. Unfortunately, the market for iOS antivirus software is small, with free options extremely limited. Here’s one great option you may want to consider, however. The Avira Mobile Security app also provides an activity report for security events. Thankfully, iOS security is already pretty high, so you’ll likely run into a minimal number of events.